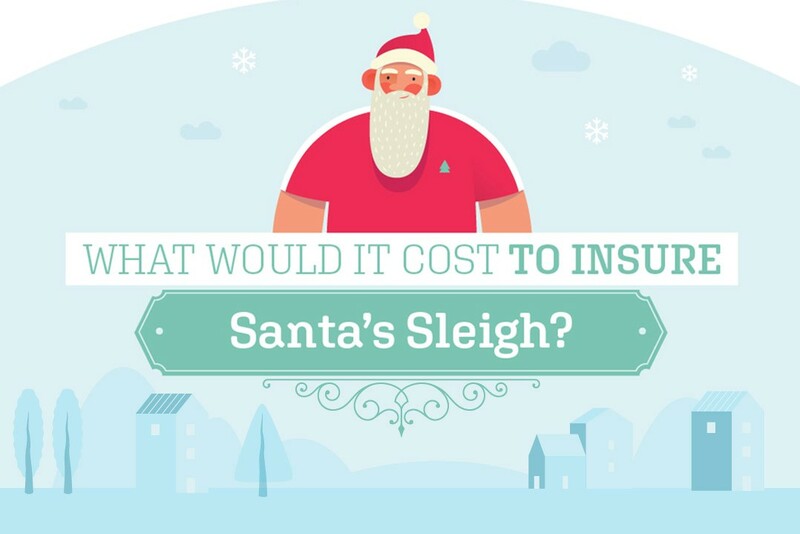 What would it cost to insure Santa’s sleigh? 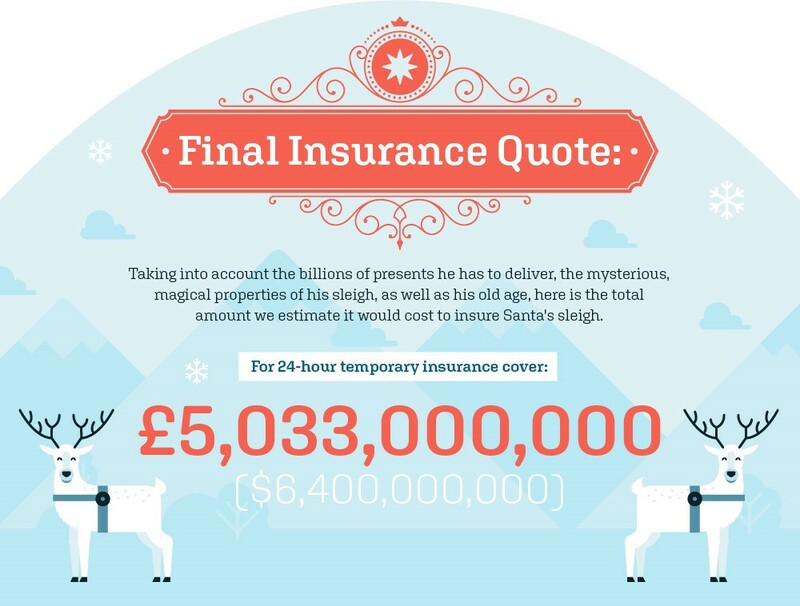 We see how much it would cost to insure Santa’s sleigh for 24 hours. Christmas is just around the corner and Santa’s elves will soon be giving his sleigh the final preparations for the big day itself. 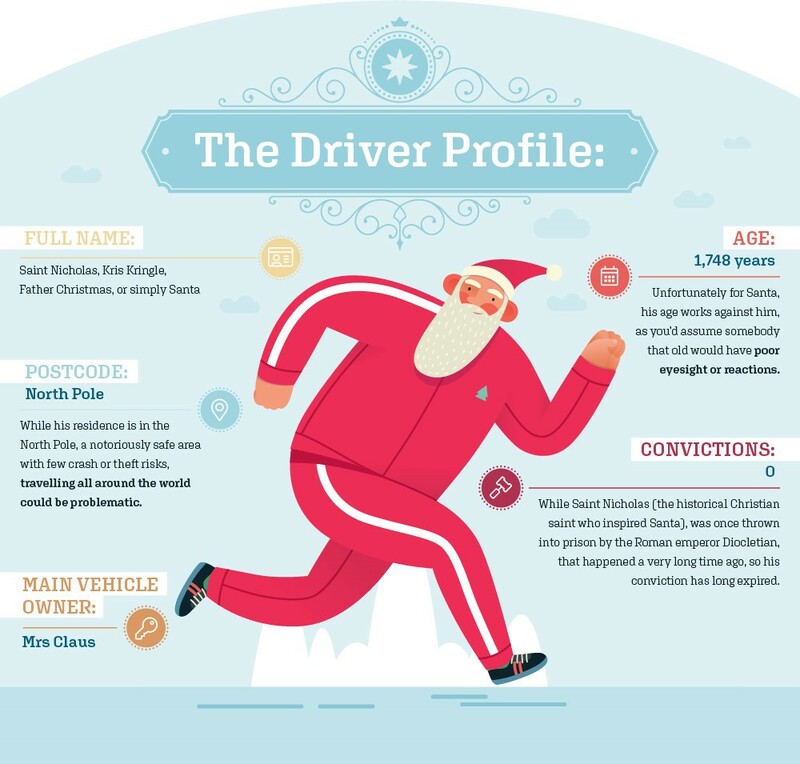 However, while Santa Claus is a man of many mysterious magic powers, the rules apply to him just the same as everybody else, which means that before he sets off on his journey to deliver presents to billions of children around the world, he has to make sure his vehicle is properly insured! 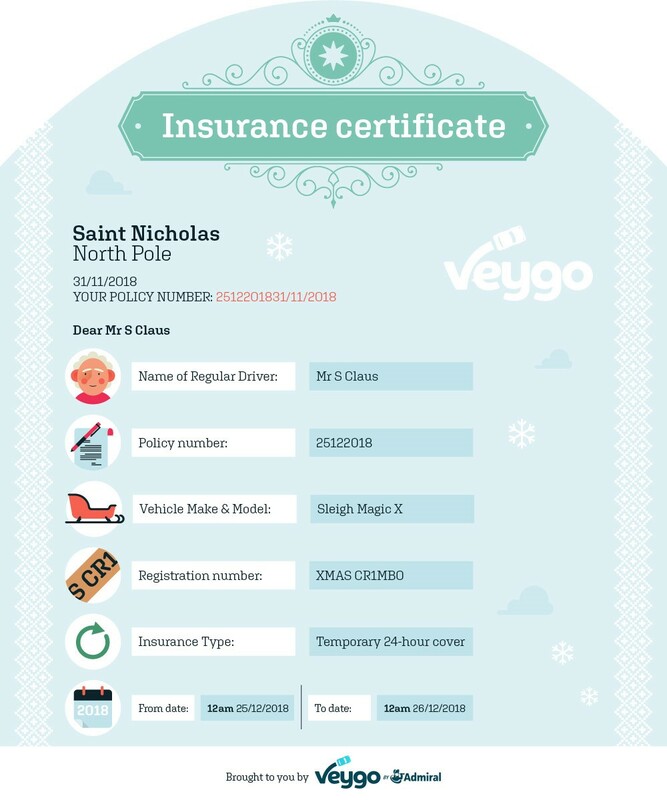 Seeing as he’ll be back at the North Pole in just 24 hours, temporary car insurance is the perfect solution – scroll down to see just how much it would cost to insure Santa’s sleigh? Unfortunately for Santa, his old age works against him, as you’d assume somebody that old would have poor eyesight or reactions. While Santa’s residence is in the North Pole, a very safe area with no other drivers around to crash into, him travelling all over the world will be problematic. While Saint Nicholas (the historical Christian saint who inspired Santa), was once thrown into prison by the Roman emperor Diocletian, that happened a very long time ago, so his convection has long expired. Assuming the vehicle is the same one as Santa had when he first got his licence, it’d be 1,675 years old, which would indicate that it’s at a high risk of breaking down. This is where the costs will balloon. First, the speed of the vehicle is estimated at 1,800 miles per second, to be able to deliver all the presents on time. Not only is this above the speed limit, but it’s also over 8,000 times the speed of an average bullet! The weight comes in at 2.36 million metric tonnes, over 7,000 times heavier than a Boeing 747, coming from the masses of presents he delivers to all the children. This gives an energy of just over one million petajoules, around the same volume of energy released by an earthquake. That would cost around $255 billion to clean-up, so we can assume that if the worst happened and Santa crashed his sleigh while going at full speed, it’d cost a similar amount! Santa’s sleigh is at risk of theft by the Grinch and his plots to ruin Christmas. The sleigh is at a particular risk of theft by the Grinch due to it having little In the way of locks or security! With the sleigh being valued at £157 billion and the presents at £3.3 billion, both would be very expensive to replace. Worse still, the Grinch’s plan to dispose of all the stolen presents into the void by Mount Crumpet would mean the presents were unrecoverable even if the Grinch was apprehended. The presents delivered to 1.9 billion children around the world are estimated to cost £3.3 billion in total. The value of the sleigh in our opinion is near priceless. Flying with the speed of a rocket, the nimbleness to be able to accurately park in front of each child’s house and its ability to hold millions of presents at any one time, we estimate the worth of the sleigh to be around £156 billion, the equivalent to 20 aircraft carriers (20 aircraft carriers having a similar weight to Santa’s sleigh). Reindeer are worth about £780 each – which isn’t that expensive, but they also each need a sprinkling of magic dust to enable them to fly of course! 510,000,000km journey around the earth will cost around £68 million! They also each cost around £1,500 annually to look after, so that’s £14,000 for one year or £23.4 million for all of the years Santa has been delivering presents. Overall this means in a serious accident, an estimated £342.4 billion ($439.2 billion) would be lost. £159.4 billion for the value of the sleigh and £183 billion for potential damages.